Imagine if there was a software platform that could nurture a lead with customized content, the kind of content that turned that lead into a customer. Now imagine that software helping to turn that one-time customer into a repeat customer. Does such a software platform exist? It does and it’s commonly referred to as marketing automation. However, there are some assumptions about what marketing automation is, what it isn’t, what it can do, and what it can’t. The biggest misconception about marketing automation is that one merely has to input a given variable, in this case a set of leads, and the software automatically converts those leads into customers. This is ultimately why a number of companies opt for purchasing business data lists and or inundating their marketing automation software with purchased email lists. For these enterprises, it quickly becomes a numbers game. The idea is that adding more emails will directly lead to a sudden and drastic increase in customer acquisition. Marketing automation software works when companies focus entirely on lead generation. It’s the quality of the leads that matters and not the quantity of leads. Inputting a bunch of unqualified leads into the software will do nothing more than waste time, money and a lot of effort. For some companies, this is a quick-fix solution with long-term consequences. Unfortunately, those consequences are hard to define upfront. It’s only after a given period has passed that these aforementioned consequences become more obvious. The simplest way to see marketing automation is to view it as a high-value tool, one where companies use the software to effectively market products and services to multiple customer segments. Each of these segments have their own needs, their own preferences and their own likes and dislikes. Defining these segments upfront, while ensuring that the quality of leads are optimized, ultimately helps the software perform the way it should. Marketing automation can be seen as the ultimate sales funnel, one where the automation software moves incoming leads through the funnel all the way to becoming paying customers. While that happens, the software is prompted by certain customer-driven activities to deliver emails, company press releases, product updates and other email and messaging activities through social media. It’s the customer’s actions that initiates these messages and it’s these messages that incentivizes the customer to purchase. Marketing automation is interesting because a company can define the steps needed to turn a lead into a customer. They alone can define the customer-specific actions that need to be taken in order to get customers to buy. In this case, marketing automation is the ultimate marriage between sales and email marketing. The idea is to turn as many leads into customers and then continue to message those customers in order to get them to purchase again. When looking at marketing automation, it’s important to understand that developing qualified leads is of paramount importance. Without qualified leads, the software can’t do what it’s supposed to. Instead, a company will see a sudden increase in lead generation without truly understanding whether those leads will become customers or not. Putting together a marketing automation plan is generally centered around predictive modeling. However, predictive is not always correct. Customers behave individually as individuals choose. So, for a marketing automation plan to be truly effective, a good marketer will set up automation based upon a prospect’s actual behaviors, not what he or she might do next.Triggered emails are a strong tool for automated marketing, because they enable capitalization upon a customer action with timeliness and relevance. Value is the add-in the marketer must provide as part of the timely, relevant messaging.For appropriate response to customer actions, also known as the triggers, here are some scenarios of automated response:Trigger: Customer downloaded your educational offer, registered or sent a request for more information.Response: Send a transactional email with call to action for next step. Simply confirm the customer’s download, registration or request, including information relevant to that dowload or activity. Provide a “next step” with a magnetic call to action. Remember, the best call to action will offer something at the click of a button or link, meaning you should incentivize that customer to go forward. That incentive may be a deal, discount, limited availability information, add-in or special service.Trigger: Customer started down a path, but didn’t finish the steps. Response: Send information or content related to the path’s purpose and a way to progress to completion. Either your customer got cold feet, did not want to put in the work of filling out forms, or had unanswered questions leading them to pause the transaction. It may be that your “one size fits all” approach is not directly suited to that one customer. This is the chance for you to engage more deeply by offering alternative pathways or solutions. Maybe a direct sales conversation or providing a demo will better suit that particular customer’s needs, in lieu of the original offering like a free trial. Send an email with some options and recapture their attention. Trigger: Customer viewed specific content or lingered on informative pages. Response: Send an email leading to next steps with a call to action either right away, or preserve data about the customer’s interest for future communications. Collect this behavioral data in order to track value of content to customers and to identify that particular customer’s pain points, needs or interests. Trigger: Customer is highly engaged and active on your site. Response: Send a timely email for enticement of the customer to next steps for a deeper relationship. In essence, this is a customer you are winning over already. Consider sending a personalized communication. Or, send the salesperson assigned this customer notification that it is time to follow up. Trigger: Customer is no longer engaged or has become disinterested. Response: Send a reengagement campaign to lure the prospect back. Such emails may be triggered at varied timeframes, such as three months since behavior, six months since behavior, or one year of absence. Trigger: Customer used social media to interact with your company, talk about competitors or speak out about your industry. Response: Send the prospect competitive comparison information, details about your offerings or educational content. While your first outreach of response to their social media action should not be automated and should instead be more personal, subsequent contacts can be triggered from that first one-on-one communication. When setting up marketing automation by means of triggered emails, simply remember that it is far more effective to provide the prospect or customer with things and content they want and need, instead of pushing them the direction you want them to go. You can actually achieve the same results of a prospect crossing the finish line into true customer territory, by doing this. The difference is that more prospects will likely move through the pipeline when they believe you regard their needs as the priority, versus when your needs and timeline seem to be more important. 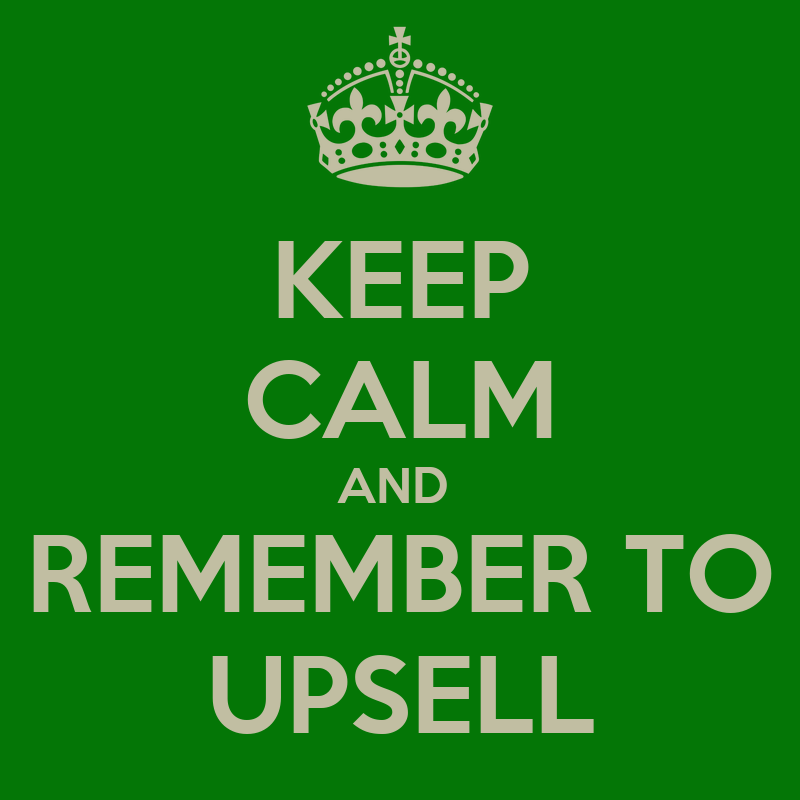 If you are looking to increase your sales without increasing your cost per sale, then you must learn the art of the upsell email! Direct email marketing is one of the most effective forms of marketing, especially when the customer has already been introduced to the company. Upselling is a necessary part of expanding a business. – First of all, you need the right attitude about up selling.There are far too many business owners who feel guilty about up selling. Remember that the only reason that your customers are buying from you is because your company provides a service that they enjoy enough to pay for. Up selling is giving them an opportunity to participate in your technological improvements. If you feel as though you are cheating someone by “making them buy something else,” then maybe you need to go back into your product development stage to improve your product until you feel otherwise!Your attitude about your product will definitely shine through in your email correspondence. You need complete confidence in the product that you are selling. You must tell the customer exactly why they need to upgrade and the benefits that will come with the new expenditure. This should be done in an easily digestible format; however, you should not be timid in any way about doing this. Timidity in your email comes across as a lack of confidence in your product. If you do not have confidence in what you are selling, then no one else will either. – Format your email so that it is easily digestible.Do you have any statistics about email client that your customers are using to open your correspondence? If you do, you can position your headline so that it appears directly in the preview window of that email client. People will appreciate the formatting and be much more likely to open your email.If you do not have statistics about the particular email clients of your customers, do not worry. There are certain formatting techniques that will go over well with all major platforms. You can test these techniques by downloading an instance of a major email client yourself and emailing your upsell email to that account until it appears in an attractive way.Do not be afraid to use attention grabbing formats and text; however, do not overdo this. If your email looks like it came from a used car lot, then you have gone too far.– Finally, do not be afraid to include multimedia in your emails. Even text based websites such as Facebook and Twitter have recently made announcements that they will move towards a streaming video format. People do not like reading long blocks of text anymore. If you have something to sell, say it with a video. People become much more engaged with videos than they do with text. You can also fit more information into a shorter period of time in a video, ensuring that your customers will receive all of the reasoning behind your upsell.